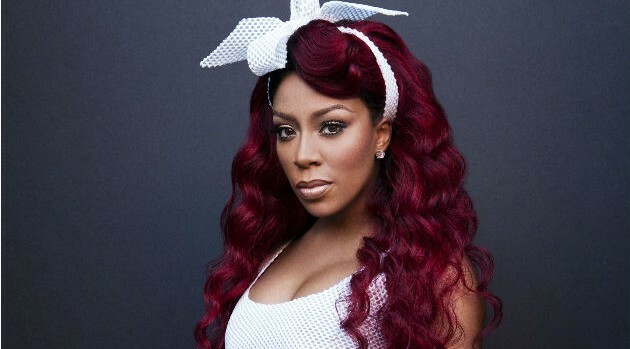 K. Michelle is making progress with her third studio effort. The singer took to Instagram to give fans a 15-second preview of her new single, “Make the Bed” which includes a guest feature from Jason DeRulo. The video clip, which was posted on Instagram, sees Michelle listening intently to the song while in the studio. “Why do we make the bed? When we know we’re going to mess it up again,” she sings on the mid-tempo song. This marks the second time she’s teamed with Derulo — the pair previously collaborated on a duet called “Love Like That” lifted from his last album, Everything Is 4. Last month, she hinted about their record via Twitter. “This record for my new album with @jasonderulo is simply amazing. A different but huge sound for me. Wow. Things are really coming 2gether,” she tweeted. Michelle’s untitled project will be the follow-up to her sophomore album,Anybody Wanna Buy a Heart?